Russia bombs Syria — what next? Despite recent air attacks, the international community should not be surprised by Russia aggression in Syria. Asha Castleberry is a U.S. National Security Expert and U.S. Army Veteran. She is an Adjunct Fellow at the American Security Project (ASP) and a member of the Truman National Security Project Defense Council. She tweets at @ashacastleberry. The recent Russian airstrikes in Syria have provoked a shockwave in the international community. The coalition against ISIL is deeply concerned with the escalation and urged Russia to cease airstrikes in Syria. The displeasure over the Russian strikes stem from that fact that a majority of targets are currently near Syrian opposition groups. Lack of deconfliction with the anti-ISIL military coalition will also have grave implications for current air operations in Syria. Russia notified the U.S. at the last minute to deconflict the situation, putting some of the anti-ISIL coalition air campaign at operational risk. Despite recent air attacks, however, the international community should not be surprised by Russia aggression in Syria. For several weeks, Russia expanded its role in Syria by rebuilding a military base in Latakia and deployed air-to-air capabilities including fighter and attack jet aircrafts, helicopters and anti-aircraft missile systems. NATO General Philip Breedlove mentioned the Russian military stockpile deployed to Syria was evidently too sophisticated to counter only Daesh. So who is Russia targeting? Russia has claimed that they are targeting Daesh’s strongholds in al-Raqqa, or the area also known as the place where Muath al-Kasasbeh, the Jordanian pilot who was later burned to death, was captured. Russia has also claimed that they are targeting ISIS groups and the Syrian Al-Qaeda affiliate terrorist group al-Nusra Front in Idib. It is hypocritical for Putin to argue that the so-called moderate Syrian opposition is joining Daesh: immediately after his UNGA speech, Putin targeted areas where the Syrian opposition is the majority, a move that could encourage Syrian rebel groups to consider joining Daesh. Also, supporters from the anti-ISIL coalition—specifically, from the U.S., Saudi Arabia, Turkey, and Qatar–argued that the Russian airstrikes will exacerbate radicalism and destabilization. These nations have invested a lot of time in arming the Syrian rebel groups in these targeted areas. Because of recent targets near areas controlled by Syrian opposition groups and the deployment of advance air defense capabilities, the main question that everybody is trying to figure out is: what exactly are Putin’s intentions in Syria? Putin’s main goals are still the same. 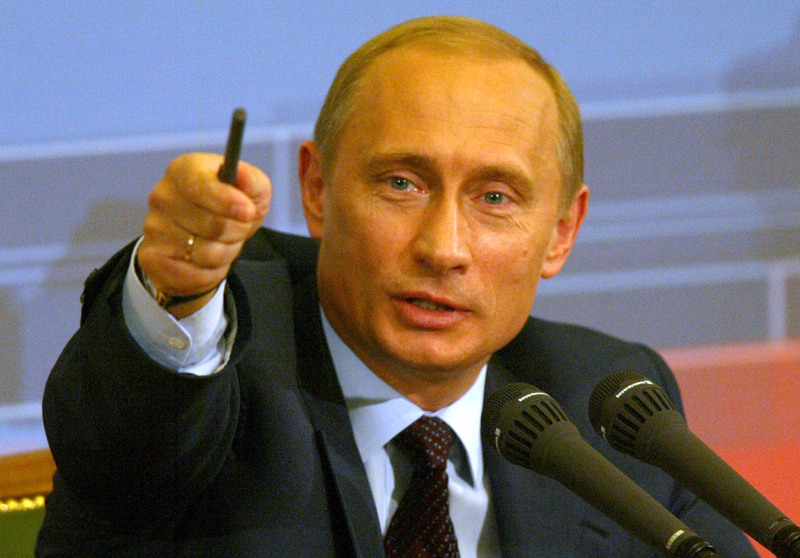 The purpose of Russian military intervention is to protect Moscow’s strategic equities. Since Russia blocked the UN resolution in 2012, it has been committed to protecting its assets by supporting the Assad regime. As it becomes clearer that the Assad regime is losing both significant areas and military strength, Russia is beefing up the Assad regime through desperate measures which requires more boldness and aggression. Russia probably believes that the best thing for Syria is to move forward with a political transition, but its desire is to prevent the country to fall into the hands of terrorist groups like Daesh. Thus Moscow will do anything to secure its grip on Syria once the country undergoes the political transition. In doing so, Russia is trying to persuade the international community that we have no choice but to work with the Assad regime in order to effectively address the Syrian crisis. Additionally, the Russians recently agreed to conduct airstrikes in Iraq, which would further convolute the battlefield. Russia must thoroughly deconflict with the anti-ISIL coalition, especially US soldiers and coalition members present in Iraq. Putin and Iraqi PM al-Abadi have agreed to coordinate a readiness plan for future airstrikes in Iraq. Russia has mentioned that if they receive a request from the Iraqi government, then Moscow will consider launching airstrikes there. Moving forward, expediting the peace process and agreeing to a ceasefire is the safest–and only diplomatic–solution. The international community should prioritize using all of its diplomatic tools to expedite the peace process and reach a political solution urgently. In the meantime, the international community should urge the Syrian opposition & pro-government groups to reach a ceasefire agreement. Then it can effectively coordinate peace negotiations with key players (Iran, Russia) and regional allies. The Iran deal is a prerequisite to get Iran to the table for future peace negotiations. On the other hand, if Russia’s aggressive military intervention persists in Syria, the anti-ISIL coalition should consider the no-fly zone approach and establish safe zones for refugees. The no-fly zone should be approached multilaterally. If ground troops are needed, the coalition should help arrange a regional force to take the lead in this effort, which will need to reach a consensus with regard to the policy objectives and the strategy of our end-state. PS21 is a non-national, non-ideoogical, non-governmental organization. All views expressed are the author’s own.